A dark and ominous universe with moments of humor and whimsy. 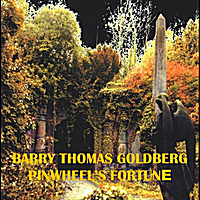 Music composed by Barry Thomas Goldberg. Produced by Barry Thomas Goldberg, Gary Paulak and Jim Steinworth. Synthesizers: Gary Paulak and Jim Steinworth. Dedicated in loving memory to Bruce Alden Burt.